See everything Morocco has to offer, from the great imperial cities of Marrakech, Chefchaouen, Fes, Meknes, Rabat to the calm oases of the desert and see the way of life of the Amazigh people in the Atlas Mountains. 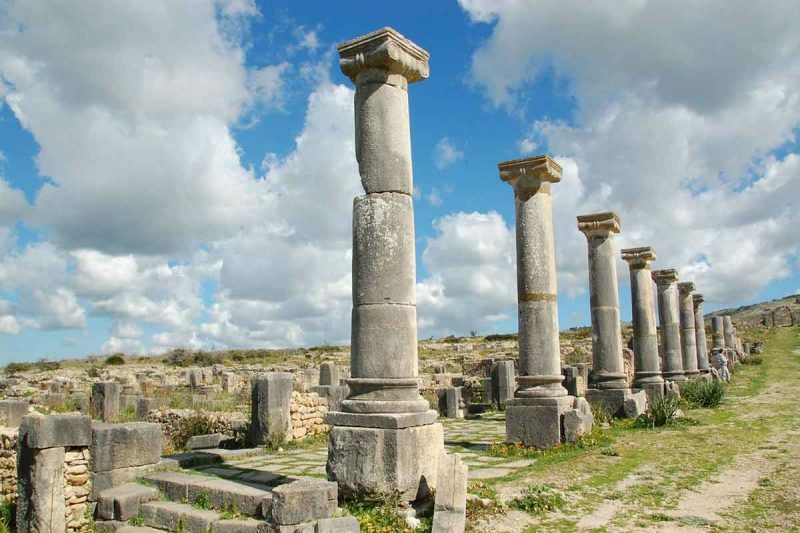 Relax on the beaches along the Atlantic Coast and literally walk through Roman history in Volubilis. Arrival at Casablanca Airport and transfer to the hotel where you will spend the night. 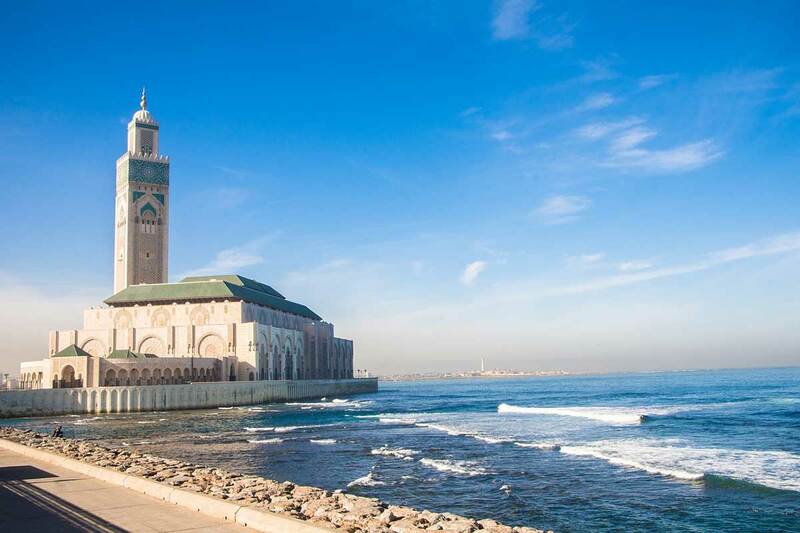 Casablanca is the beating heart of modern Morocco. It’s a Moroccan style New York and the country’s business capital, with all the hustle and bustle that entails. Casablanca is more Europeanized than other parts of the country. 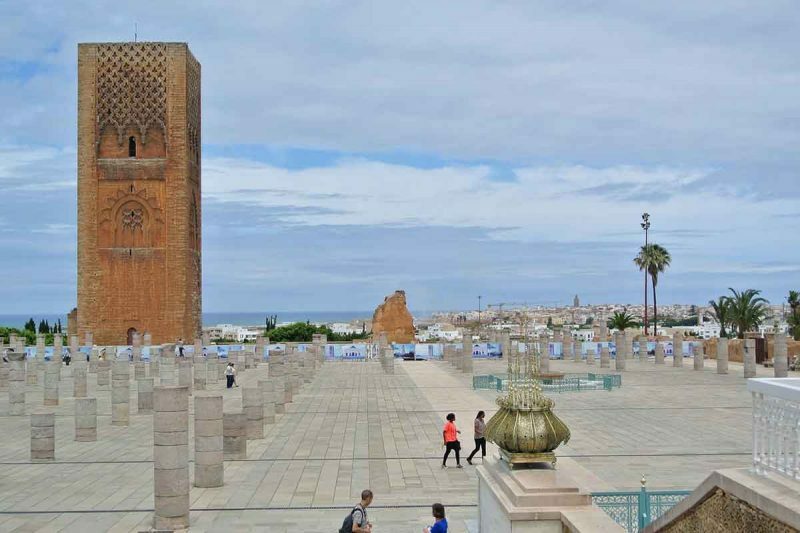 After breakfast you will leave Casablanca and drive further to Rabat to explore the Oudaya Kasbah and Chellah Necropolis where you will see the roman-era city alongside the more recent ruins of the Almohad and Merenid dynasties of the 12th and 14th centuries. 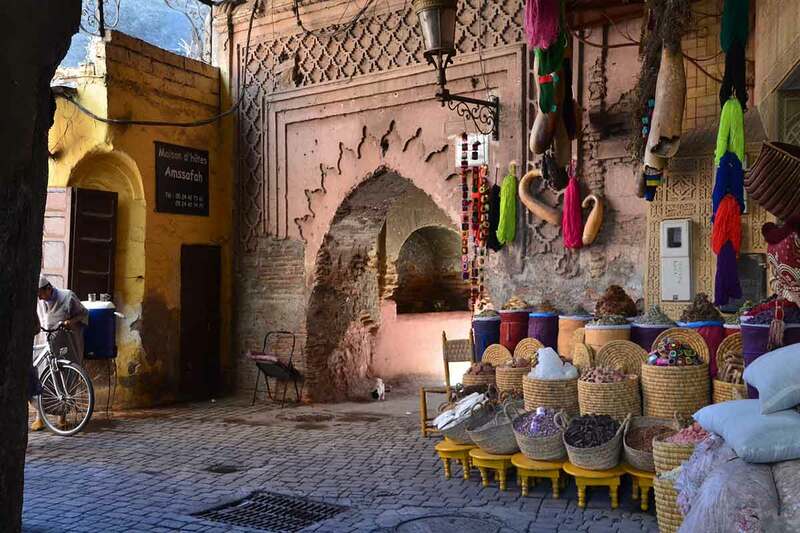 We will drive further to Meknes and after a few hours driving you will arrive at Chefchaouen where you will spend the night. Enjoy a free day in Chefchaouen to explore. The city, whitewashed in different shades of blue, is spectacular on its own but with the surrounding mountains, it’s a sight to behold. At sunset, opt to visit the Spanish Mosque for a stunning panoramic view of the city. 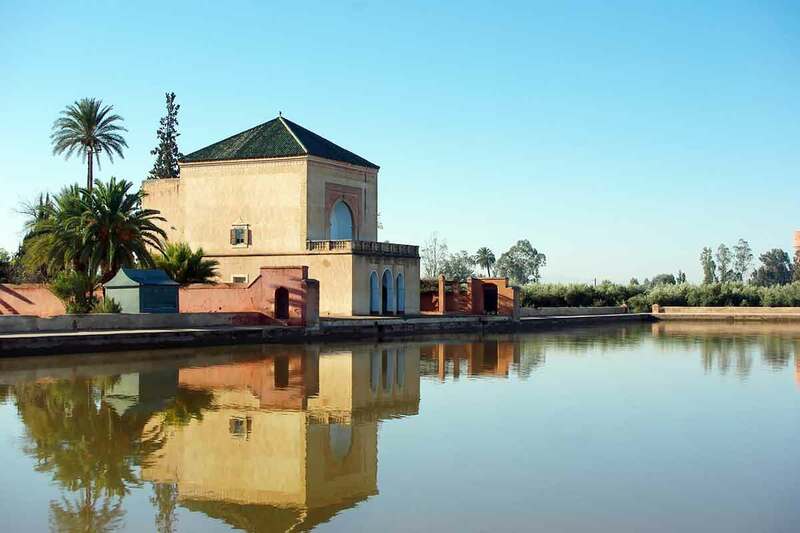 Drive to Meknes for a guided walk through this imperial city. 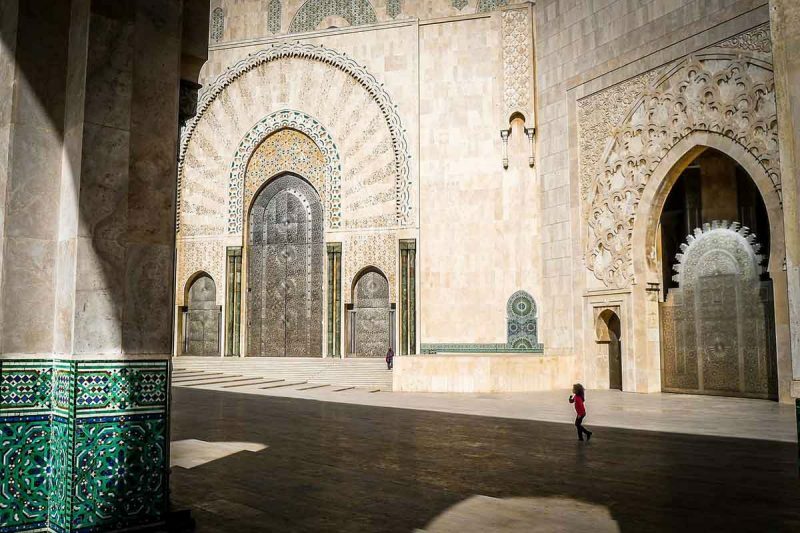 Visit monuments, ornamental gates, and winding souks while you soak in the flavour of this charming city. Later, continue through the rolling hills to the Roman ruins of Volubilis. Take a guided tour of the best-preserved Roman ruins in this part of Northern Africa, now a UNESCO World Heritage Site. After, continue to the imperial city of Fès, one of Morocco’s most interesting cities. 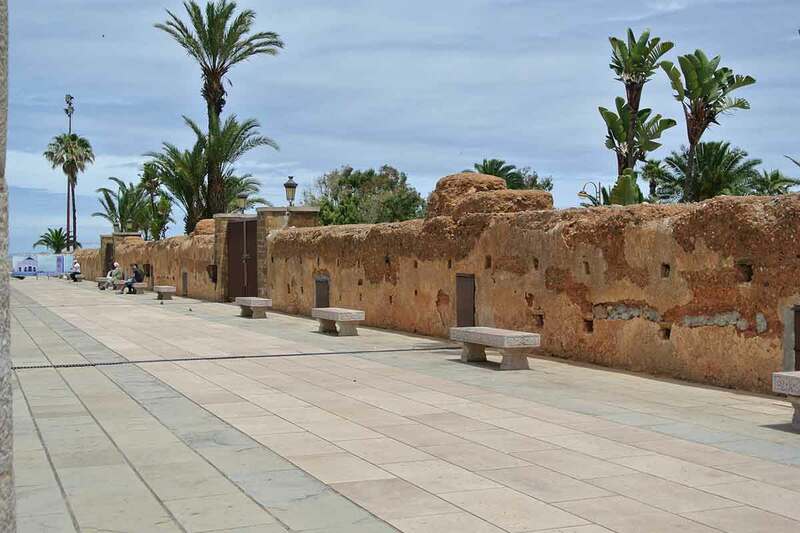 Enjoy a half-day medina walking tour, with free time in the afternoon to explore more of the city. The Fès medina is the world’s largest living medieval medina and a UNESCO site. 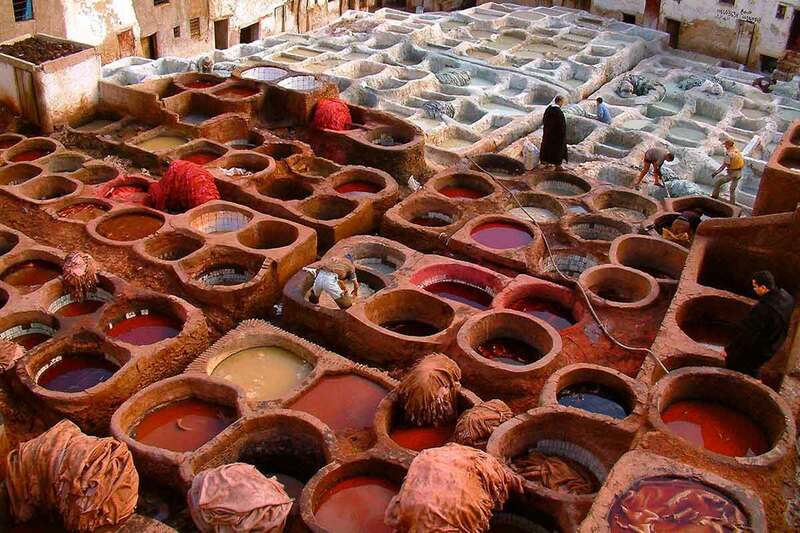 Explore the artisan quarters, sample treats from the carts, and view Fès’ famous leather tannery from above. In the evening, opt for dinner in a converted riad complete with local specialties, music, and belly dancing or visit a local hammam to chat with the locals. Additional Notes: Only certified local guides are allowed to act as guides in the medina, so your CEO cannot go with you to the medina during free time. Enjoy a free day until heading out on a camel safari in the late afternoon. Spend the cool morning exploring the undulating golden sand of the dunes or simply relaxing by the pool. Opt to explore the surrounding communities on a 4×4 excursion. 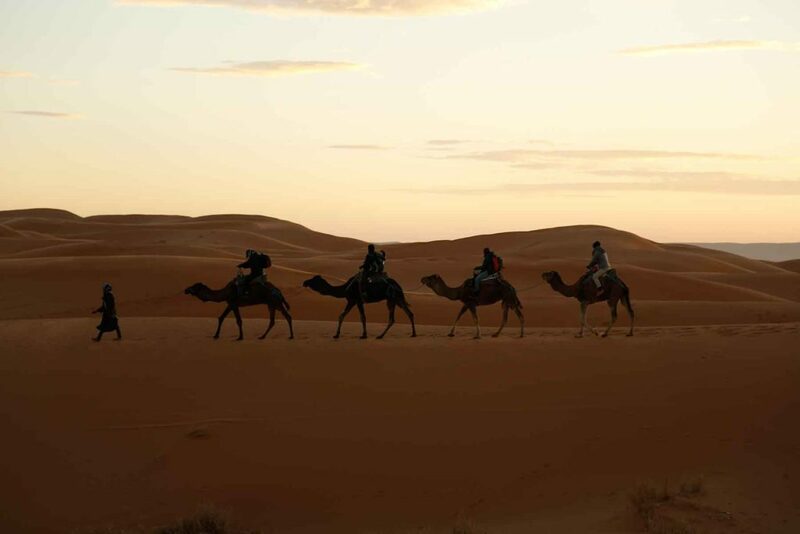 In the afternoon, take an overnight bag and set off on a 1-hr camel ride to a desert camp deep in the dunes. 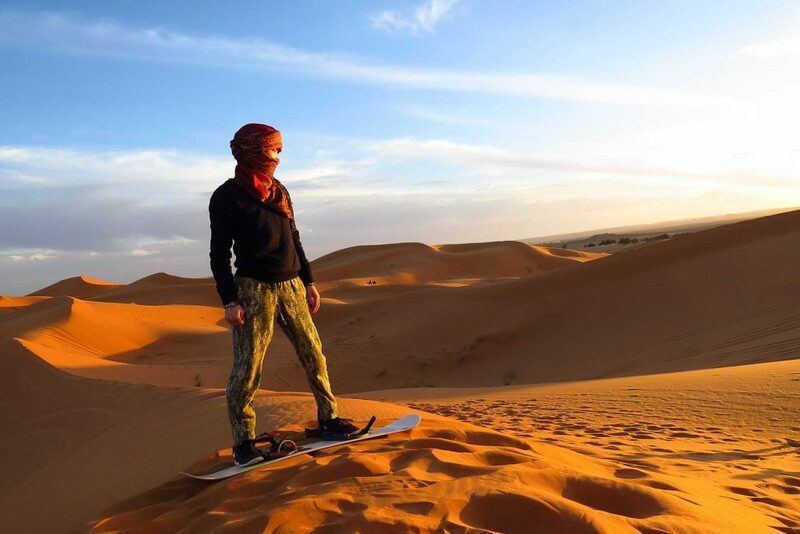 Local guides will teach you how to mount and dismount and how to tie a turban to keep the desert sun off your face and add a little flare to your photos. Enjoy a warm welcome at the desert camp followed by a traditional dinner under the stars. There will be time to hear stories about life in this region and perhaps, if lucky, be treated to some traditional music on the drums. Additional Notes: Notes for the Sahara Desert tented camp stay: There will be a chance to repack and take only overnight bags out to the desert. The accommodations are basic, with four people per tent (though feel free to sleep out under the stars). Bathroom facilities are basic and shared. Mattresses with sheet and blanket are provided. For winter months (Nov- April), we recommend bringing a sleeping bag for additional warmth. There will be the chance to shower upon arrival in Merzouga the following morning. Leave the pre-desert country for the magnificent High Atlas Mountain landscape, crossing the Tizi n’Tichka pass at 2260m. Head into the splendid Toubkal National Park, passing through small villages on winding mountain roads, arriving at the village of Imlil. With our main luggage transported by mule, embark on the walk from Imlil to the little village of Tamatert, arriving at our guesthouse for the night. Enjoy a homemade dinner of local produce in the cozy salon. Settle in and enjoy the tranquility, fantastic views, and clean mountain air of this magical region. While the walk to the gîte is uphill, it is achievable by anyone of average fitness. Take it at a slow pace.